American actor Bradley Cooper who is best known for his significant roles in films like Limitless (2011), Silver Linings Playbook (2012), American Hustle (2013), and American Sniper (2014). He received Academy Award nominations four times throughout his acting career and the tenth actor to receive an Academy Award nomination in three consecutive years. He had also won several other prestigious awards and nominations and was included in Forbes Celebrity 100 list twice in 2014 and 2015. Bradley Cooper was born on 5 January 1975, in Philadelphia, Pennsylvania, USA. He is Italian – American and Irish – American. 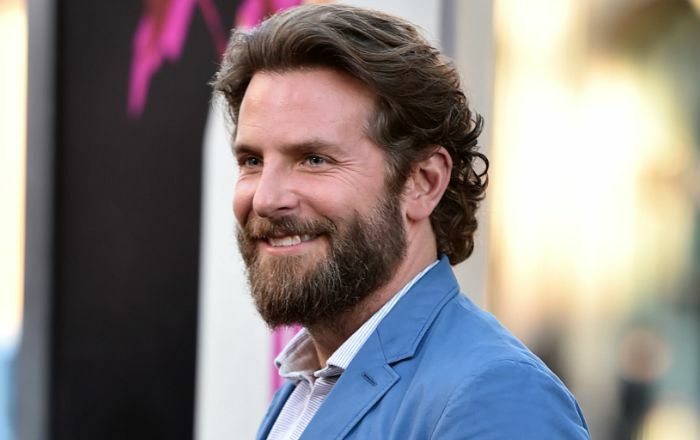 Bradley Cooper graduated from Germantown Academy in 1993. After that, he enrolled at the Villanova University and attended for a year there before transferring to Georgetown University from where he earned his BA honors in English in 1997.
Cooper earned his Master of Fine Arts degree in acting from the Actors Studio Drama School at The New School in New York City in 2000. Bradley Cooper married actress Jennifer Esposito in December 2006. In May 2007, Esposito filed for a divorce that was finalized in November. The actor was romantically linked with Zoe Saldana in December 2011 which ended in January 2013. Then, he was involved in a rrelationshipwith English model Suki Waterhouse who is 17 years his junior in March 2013. However, the couple broke out in March 2015 because of their age difference and Waterhouse’s desire to focus on her career. Copper has been in ra elationship with Russian model since April 2015. In November of that year, he moved along with her and they welcomed their first daughter in March 2017. He wears a size 14 (US) shoe. Bradley made his onscreen acting debut in 2001 in satirical comedy film Wet Hot American Summer playing Ben. Being credited as one of the most versatile actor of the present time, Cooper is known for his work in films including The Hangover Trilogy, Limitless, The place Beyond the Pines, Silver Linings Playbook, American Hustle and American Sniper. He also received rave reviews for his voice roles in films like Guardians of the Galaxy Vol. 2 and Avengers: Infinity War. He was featured in Häagen-Dazs commercial in 2013. He is one of the most marketable actors in Hollywood and has an estimated net worth of $110 million as of 2018. He has been a part of several successful movies over the years. He earned over $40 million in 2014 and is one of the highest paid actors in the entertainment industry. His automobile collection include a Toyota Prius, a Mercedes G500 SUV, a Aprilia Mana 850GT ABS, a Triumph Thruxton and a Ducati Panigale 1199. While studying at Germantown Academy, he worked at the Philadelphia Daily News. He became interested in acting while pursing a degree at Georgetown University and became a member of the theatre group, Nomadic Theatre. He was also a member of the Georgetown Hoyas rowing team. In 2011, People magazine named him the Sexiest Man Alive and was awarded with “International Man of the Year” title by GQ magazine. His stellar performance in the 2012 movie Silver Linings Playbook earned him 9 awards. In 2013, Cooper ranked tenth on Empire’s list of the 100 Sexiest Movie Stars. He was included in Forbes list of Celebrity 100 in 2014 and 2015 and was named the 100 most influential people in the world in 2015 by Time Magazine. Cooper is a huge fan of the National Football League’s Eagles. He owns a production company called 22 & Indiana Pictures.